Rock Bay Marine Provincial Park, located northwest of Campbell River on Vancouver Island at the junction of Discovery Passage and Johnstone Strait, consists of foreshore only. All land-based operations near the park are private. This area is an important destination area for marine recreation. An attractive waterfront, anchorage and boat launching area make this a good spot for boaters. Otter Cove on the eastern end of the park provides sheltered anchorage for small boats waiting to navigate the nearby tidal passes. Activities in the park include excellent scuba diving and fishing, boating, paddling and wildlife viewing. 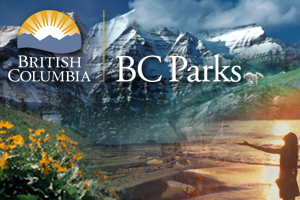 This accessible park is located on Vancouver Island north of Campbell River between Elk Falls and Schoen Lake provincial parks. The park is a rocky headland and two adjacent bays on the east coast of Vancouver Island, approximately 40 km northwest of Campbell River at the junction of Discovery Passage and Johnstone Strait. The park is accessible by land or water. A logging road connects the park to Hwy 19. The closest communities are Kelsey Bay, Sayward, Campbell River and Quadra Island. Boaters can reference marine chart # 3539 and #3543 for more information on this area. Conservation - This park protects marine ecosystems. This foreshore-only park offers good canoeing and kayaking opportunities. The rich waters of Rock Bay Provincial Marine Park offer excellent SCUBA diving opportunities.